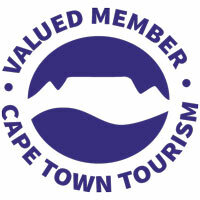 Mother City SkyDiving is a Members-Only Recreational Sports SkyDiving Club approved by and affiliated to the Parachute Association of South Africa (PASA) – CAA / ARO 0004. Skydiving and Parachuting operations are conducted in accordance with the PASA Manual of Procedures (MOPs) and part 105 of the South African Civil Aviation Authority (CAA) Regulation, and as per these terms and conditions laid down by Mother City SkyDiving. Skydiving and parachuting are considered extreme sports and high-risk activities. Being on a drop zone, on an airfield, around aircraft, flying generally, participating in skydiving and parachuting and all related elements of these activities exposes you to some new risks, which, like a lot of things, may cause or result in serious injury or death. You must participate voluntarily, and accept the risks in exchange for the enjoyment the activity offers. The risks involved will be discussed with and explained to you before your participation and you are welcome to ask any questions. Participation, and even spectating are entirely at your own risk. You will be required to read, understand, complete and sign (and you will be deemed to have done so) a legally binding Exclusion of Liability, Indemnity, Waiver and Release Form, Voluntary Assumption of Risk Agreement, and Medical Questionnaire and Declaration, and must assume personal responsibility for yourself, and for decisions regarding your safety. Existing medical conditions, disabilities injuries or medication (prescribed or non-prescribed) which could affect your safety and those of others should be discussed in advance with your doctor. The outcome of that discussion is for your own interpretation – we accept that you are medically fit when you arrive to jump and non-disclosure of any material existing medical conditions, disabilities, injuries or medication (prescribed or non-prescribed) will be deemed to be a gross misrepresentation and breach of contract. 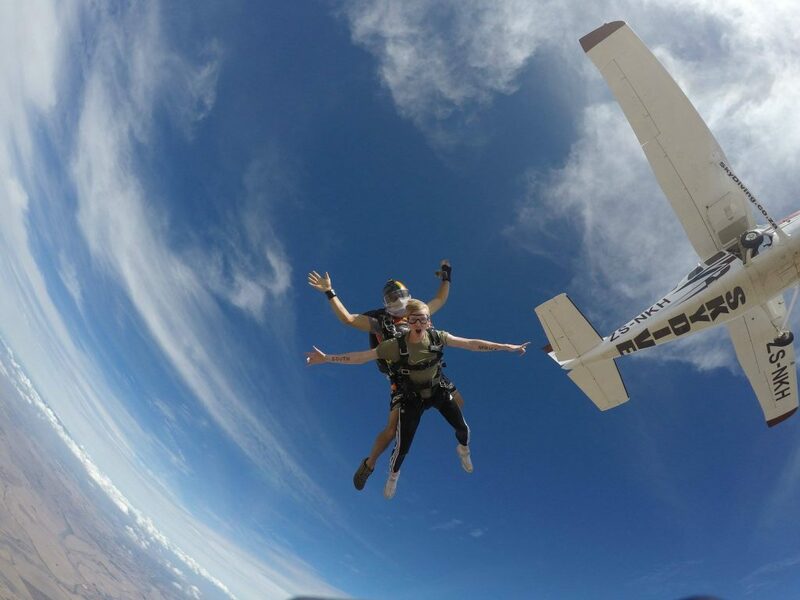 Jump times, exit altitudes and freefall times are approximate and dependent on a number of factors and variables – jump times, exit altitudes and freefall times are not guaranteed. Mother City SkyDiving reserves the right to deny participation to any individual, for any reason, in our sole and unfettered discretion. Anyone who is, or appears to be, under the influence of alcohol or drugs (medicinal or otherwise) will be refused permission to skydive. Please respect, comply with and obey the rules and regulations of the club and pay particular attention to briefings and instruction provided. Management reserves the right to amend / cancel / add terms & conditions without notice. Mother City SkyDiving Club, Soul Flyers (Pty) Ltd 2014/244940/07, FullHouse Aviation cc 2007/246074/23, Sky Zoo (Pty) Ltd 2016/313403/07, ARS Aviation (Pty) Ltd 2016/329134/07, DOAC (Pty) Ltd 2016/281257/07, AG Sprayers (Pty) Ltd 1939/012274/07 (all members, all directors and all employees thereof) shall not be responsible or liable for any accident any losses or damage suffered by me; including any financial loss and/or destruction and/or loss of property, illness injury, harm, trauma or death, pain and suffering as a result of injuries (including any medical assistance or treatment); arising from my decision to take part in any skydiving and parachuting or any related aviation activity in any aircraft, in freefall, under parachute, on the ground, in the air, or in any building or structure related to the activities which Mother City SkyDiving / Soul Flyers Pty Ltd operates from, in, at or under, from time to time either as repeat activities or a once off activity and the participant is deemed to have indemnified the parties stated above accordingly. The parties stated above shall furthermore not be liable for any consequential or indirect loss or damages whatsoever, unless section 61 of the Consumer Protection Act, Act 68 lf 2008 applies. We will make every effort to contact you a day or two ahead of time to advise of the anticipated atmospheric conditions, to confirm jump times, and pick-up times and places. Please understand that there are a number of elements that all need to align to make every skydive happen. Please try to be flexible, patient and relaxed whilst we do everything we can to make your skydive happen. Should it not be possible to move your booking to a mutually acceptable time and date, a refund (less any expenses incurred) will be made. If however you fail to arrive on time or decide to cancel at the last minute, you may well forfeit your booking deposit – please note that by ‘on time’ we mean 30 minutes before your activity, and by ‘last minute’ we mean 6 hours before your activity. Refunds (whether in whole or part) will not be considered for any other reason. Links to view, download and share your video and photos will be emailed to the email address you provide after your skydive. Due to the extreme nature of skydiving, the high-speed air, the rapidly changing atmospheric conditions and occasional inexplicable idiosyncrasies experienced with digital equipment, memory cards, storage devices, digital files and computers generally, photography and videography (results and delivery thereof) can in no way be guaranteed. Power cuts, internet connectivity and bandwidth limitations sometimes have an effect on our ability to delivery your video and photos timeously – please be patient. In the event that no video and / or photos can be provided, we may provide a refund on part of the amount charged for the photos and / or video only. You will be advised of the cost and full payment must be made once the skydiving is complete. The parties choose as their respective domicilia the addresses specified on the Membership Application. South African law and the jurisdiction of South African courts will govern the relationship between the parties. Any of Mother City SkyDiving Club, Soul Flyers (Pty) Ltd 2014/244940/07, FullHouse Aviation cc 2007/246074/23, Sky Zoo (Pty) Ltd 2016/313403/07, ARS Aviation (Pty) Ltd 2016/329134/07, DOAC (Pty) Ltd 2016/281257/07, AG Sprayers (Pty) Ltd 1939/012274/07 (all members, all directors and all employees thereof) shall be entitled to institute any legal proceedings arising out of or in connection with these terms and conditions in any Magistrates Court having jurisdiction in terms of Section 28 of the Magistrates Court Act no. 32/1944 as amended, notwithstanding that the amount in issue may exceed the limits of such jurisdiction. You will be liable for all legal fees on an attorney and own client scale in the event that the any of Mother City SkyDiving Club, Soul Flyers (Pty) Ltd 2014/244940/07, FullHouse Aviation cc 2007/246074/23, Sky Zoo (Pty) Ltd 2016/313403/07, ARS Aviation (Pty) Ltd 2016/329134/07, DOAC (Pty) Ltd 2016/281257/07, AG Sprayers (Pty) Ltd 1939/012274/07 (all members, all directors and all employees thereof) have to engage a lawyer to enforce or defend any of its rights or otherwise. These terms and conditions, the Parachute Association of South Africa (PASA) Manual of Procedures (MOPs) and part 105 of the South African Civil Aviation Authority (CAA) Regulation, the Membership Application Form, Medical Questionnaire, Declaration, Indemnity, Waiver and Release Form and Voluntary Assumption of Risk Agreement collectively comprise the entire terms of the relationship between the parties. There exist no other terms, conditions, warranties, representations, guarantees, promises, undertaking or inducements of any nature whatsoever (whether verbal, written or electronic) regulating the relationship and you acknowledge that you have not relied on any matter or thing stated on behalf of any of Mother City SkyDiving Club, Soul Flyers (Pty) Ltd 2014/244940/07, FullHouse Aviation cc 2007/246074/23, Sky Zoo (Pty) Ltd 2016/313403/07, ARS Aviation (Pty) Ltd 2016/329134/07, DOAC (Pty) Ltd 2016/281257/07, AG Sprayers (Pty) Ltd 1939/012274/07 (all members, all directors and all employees thereof) or otherwise that is not included herein. No change or deletion will be of any force or affect unless signed by a duly authorised representative of each party. Mother City SkyDiving Club, Soul Flyers (Pty) Ltd 2014/244940/07, FullHouse Aviation cc 2007/246074/23, Sky Zoo (Pty) Ltd 2016/313403/07, ARS Aviation (Pty) Ltd 2016/329134/07, DOAC (Pty) Ltd 2016/281257/07, AG Sprayers (Pty) Ltd 1939/012274/07 shall have the right to cancel any activity should its fulfillment be rendered impossible, impeded or other duly constituted authorities or any other cause beyond the control of Mother City SkyDiving Club, Soul Flyers (Pty) Ltd 2014/244940/07, FullHouse Aviation cc 2007/246074/23, Sky Zoo (Pty) Ltd 2016/313403/07, ARS Aviation (Pty) Ltd 2016/329134/07, DOAC (Pty) Ltd 2016/281257/07, AG Sprayers (Pty) Ltd 1939/012274/07. Firstly the parties will meet within 5 (five working days of the dispute arising in an attempt to resolve the matter amicably. Failing such amicable resolution of the dispute within 5 (five) days of their meeting, they will attempt to resolve the matter by mediation – the mediator will be an independent third party mutually agreed upon and, failing such mutual agreement, a party appointed as a mediator by the Arbitration Foundation of South Africa (‘AFSA’), which mediator must be appointed within 5 (five) days of their failure to resolve the matter amicably and the mediation itself must take place with a further 5 (five) days from the date the mediator is appointed. Failing such amicable resolution of the dispute by the intervention of a mediator, the dispute must be referred to arbitration in Cape Town within two (two) days of the failure to resolve the dispute by the intervention of a mediator, which referral must be delivered in writing to and be conducted in terms of the rules of AFSA for the time being in force which rules are deemed to be incorporated by reference into this clause. The tribunal shall consist of one (1) arbitrator to be appointed pursuant to the AFSA Rules. The arbitrator’s decision shall be final and binding upon the parties and shall provide the sole and exclusive remedies of the parties. All judgment upon the award so rendered may be entered in any court having jurisdiction or application may be made to such court for a judicial acceptance of the award or orders of enforcement. The commencement of any arbitration proceedings under this Clause shall in no way affect the continual performance of the obligations relates to the subject matter of such proceedings. All arbitration proceedings shall be in the English Language.